To paper or not to paper? With so much inspiration available at the click of a button these days, trying to make a decision about paint/colour schemes/wallpaper can be almost impossible. No sooner have I thought I’ve found ‘the one’ than I see yet another image that makes me think it would really work too. One of the things I have been considering is whether to have wallpaper anywhere in the house. A few years ago just the mere mention of it would have made me shudder, catapaulted back to a time when I was growing up and swathes of Laura Ashley floral kitsch covered our walls with some weird contrasting border just below the ceiling (what was that all about?!). Thankfully times and styles have changed and wallpaper has come a long way. In a previous post I wrote about the living room to-do list and one of the items on that was to choose a colour scheme. We know part of that will be grey as this is the colour of our new sofas and so picking out a complimentary colour is the next step. A recent edition of Ideal Home magazine featured this Graham & Brown Foxglove Lilac/Lime paper by Lucinda Abell and I’m smitten. We wouldn’t need much – my plan is to paper the alcoves which sit either side of the fireplace in the living room. They’re opposite the door as you come in so will create a great focal point and a paper like this one gives a good choice of colours for accessories. On the first floor, we have been thinking about one wall of paper in the guest bedroom. Currently this room is full to bursting with junk which we collected from OH’s storage unit and needs sorting as well as being a temporary office whilst we refurb the proper one. The guest bedroom needs totally stripping back – it’s covered in paint covering paper covering cracks which will need dealing with but it’s got fitted wardrobes and a lovely bay window and we like the idea of something fun like this Statement La Vie Ordinaire Feature wallpaper covering a wall which the head of the bed would rest against. On the top floor which is the loft conversion and the room we decided to have as our bedroom which has sloping ceilings towards two velux windows facing the front of the house. Again, the room needs redecorating, the creaky floorboards fixing and new flooring…on and on. 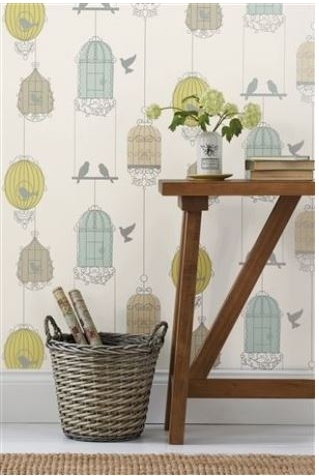 The sloping walls on either side would look great with this birdcage wallpaper from Next – the tones are quite muted and warm which is great for a bedroom sanctuary and it provides a good choice of colour match. 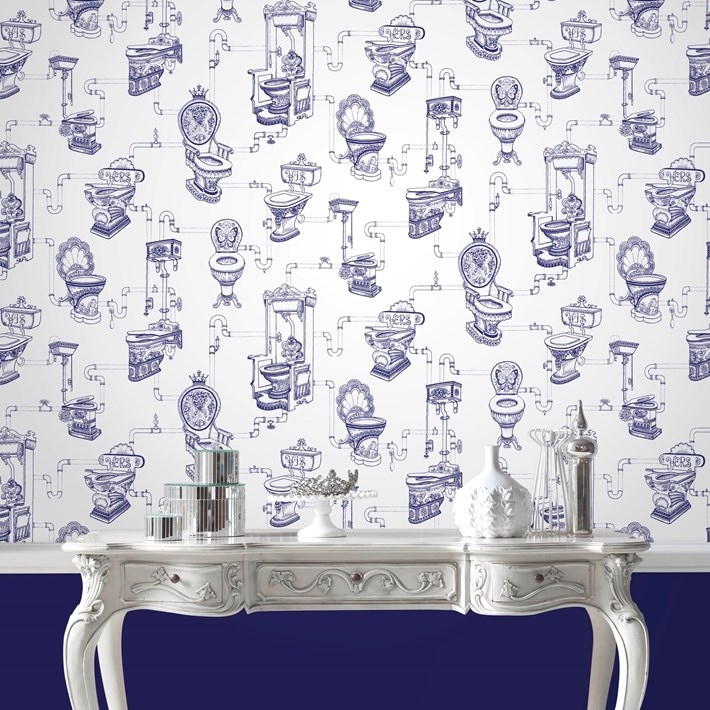 These are the three rooms for now, but if we have get round to our planned extension and create a downstairs toilet, I kind of have my heart set on this Loo Loo paper, also from Graham and Brown…although I’m not sure I’ll get buy-in from OH at the moment! Do you like wallpaper? I’d love to see your picks or if you’ve already got any in place. Ooo, I’m with you on this one. I’ve been completely anti-wallpaper for as long as I can remember. I think it ruins walls. However, a few months ago, I fell in love with a Laura Ashley print and bit the bullet. I put it on one wall in the downstairs loo and I absolutely love it. It’s completely changed the room for the better. Am I brave enough to put it on a larger wall? Hmm, jury’s still out on that one. Small steps! Isn’t it funny how things come round again? Although I couldn’t ever imagine having a wall papered in its entirety like houses used to have. In fact most of the walls in our house annoyingly have paper on which has then been painted over so we’re having to do a lot of reparation work, grrr. I have no wallpaper in my current home, but had it virtually in every room at my old house. Mainly to disguise uneven walls. Adore some of the wallpaper designs that really make an impact when used on a focal wall. 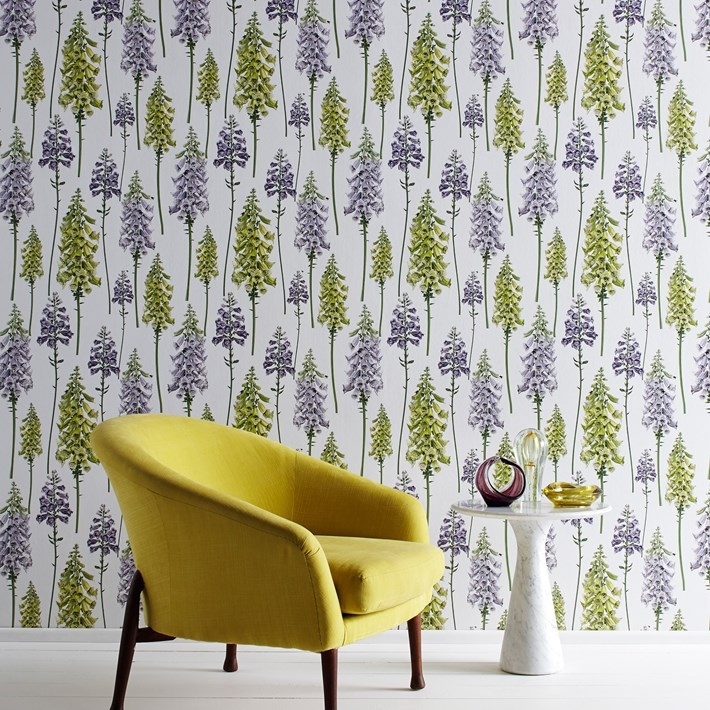 I’m really taken with the Foxgloves wallpaper.